my son has been very fond of helping his mommy out in the kitchen ever since he turned 1 ! some days he would help me wipe the wet dishes or stack the utensils in a neat pile or even help me with ingredients from the fridge. 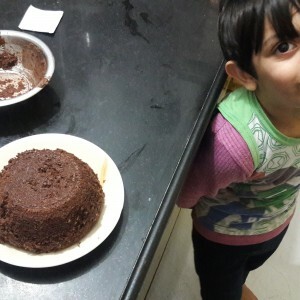 too much to expect from a toddler to cook one day he expressed his wishes of baking a cake ! 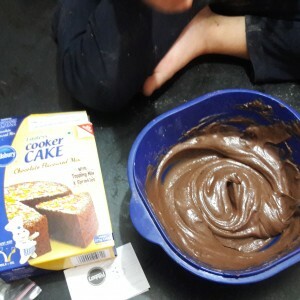 we baked a 3 step cake in 10 easy steps. 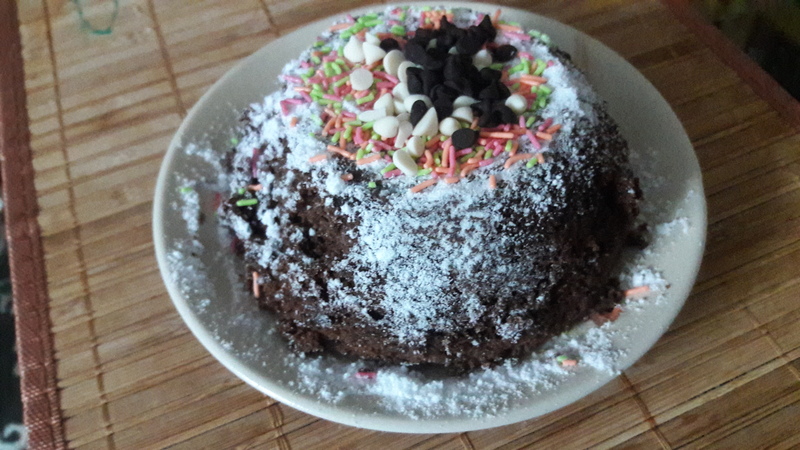 yea… with a toddler making it the 3 steps turned into 10 at the end but the results were really yummy! and i thought of sharing my experience with you all. so we bought this pillsbury cooker cake box at a really good price. 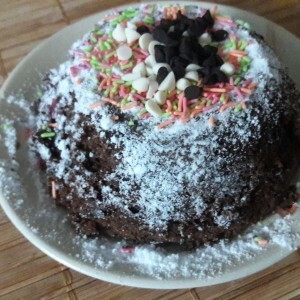 it came with a dry powder batter, a sachet of icing sugar and a sachet of rainbow sprinkles. i dunked into my freezer and found some dark chocolate and white chocolate chips from super foods and thought of using them for the cake to add some drama. 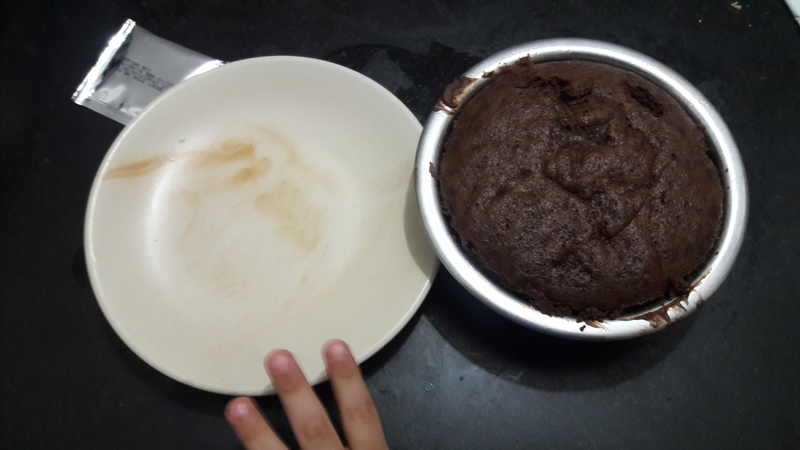 so here is the easiest ever cake recipe. thanks to pillsbury! open up the package and put the dry ingredients in a non stick microwave friendly bowl. add warm milk according to the package shown. we added 2 cups warm milk. it just says milk but my experience of baking told me it should be warm. step 2: we added just a spoon of fresh cream to add the softness to the batter. 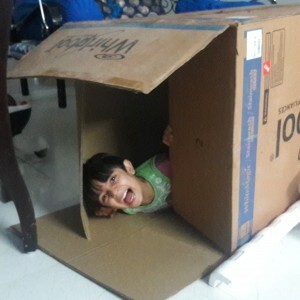 the package didn’t specify. the pillsbury box we loved. 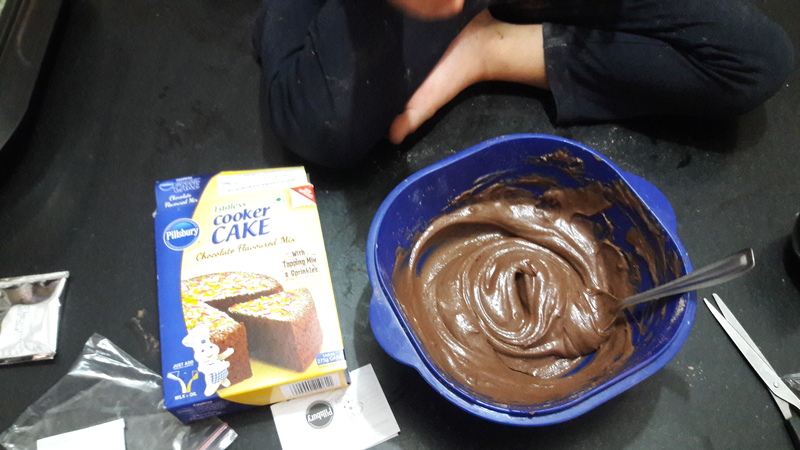 i asked my son to mix the batter well until he sees a creamy texture. 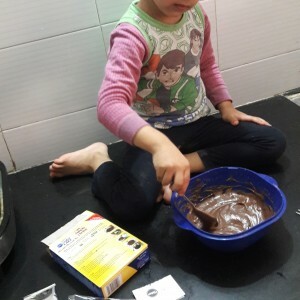 my little one tasted the batter about 10 times before we put it in the cooker! 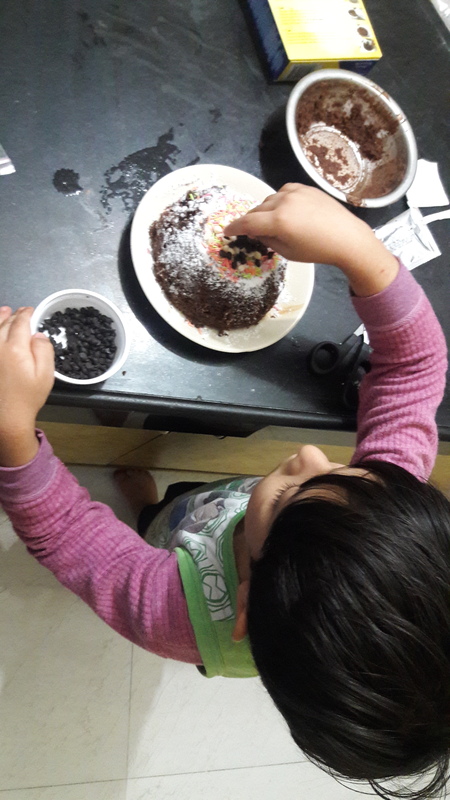 i find it dirty to put fingers in the batter but this podgy little fingers and the ‘ yummy… mumma its so nice mumma. really yummy..’ melted all my senses. perched on the kitchen, my little cook. step 4: put it in a double boiler cooker and close the lid without the whistle. don’t panic. nothing will happen. i strolled in and out of the kitchen worrying the cooker will blast but nothing happened! 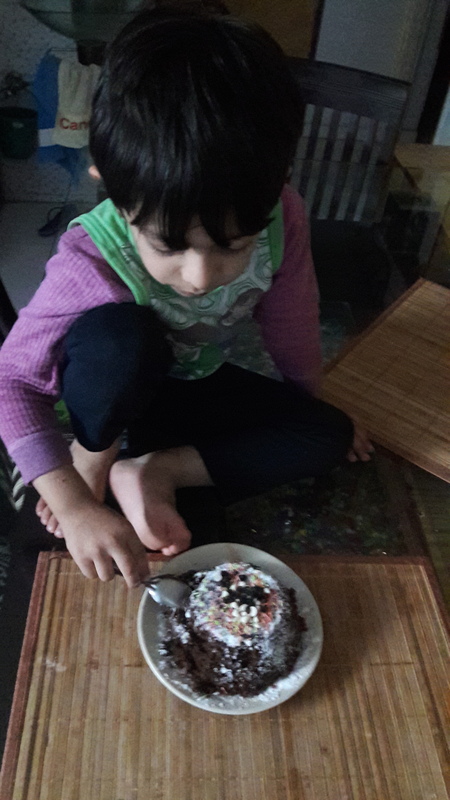 my khichdi once got spoiled but this cake won’t ! great invention or whatever the secret ingredient! (i wanted to add more sarcasm but my son was really excited for the cake). keep the bear out of the kitchen for 30 mins. its difficult I know but gotta do it momma! 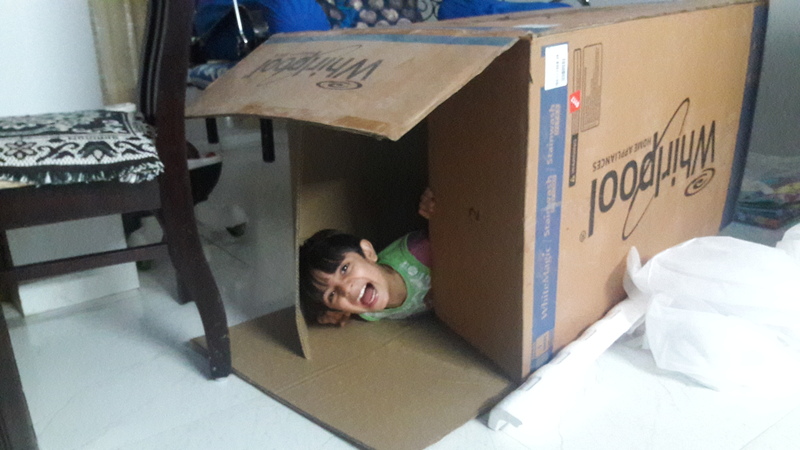 we bought a new box to play with, and a washing machine came free with it. pull the container out. no wait. turn on the camera first and then pull the container out. take a fatafat quickest ever picture before the kid turns it upside down without you helping him to scrap out the sides and give a perfect tomb. 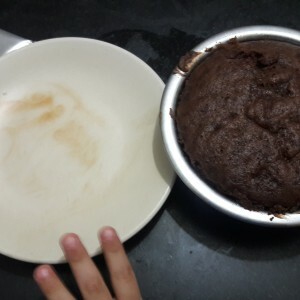 the cake was so super fluffy and perfectly brown. his first try and looks near to perfect! 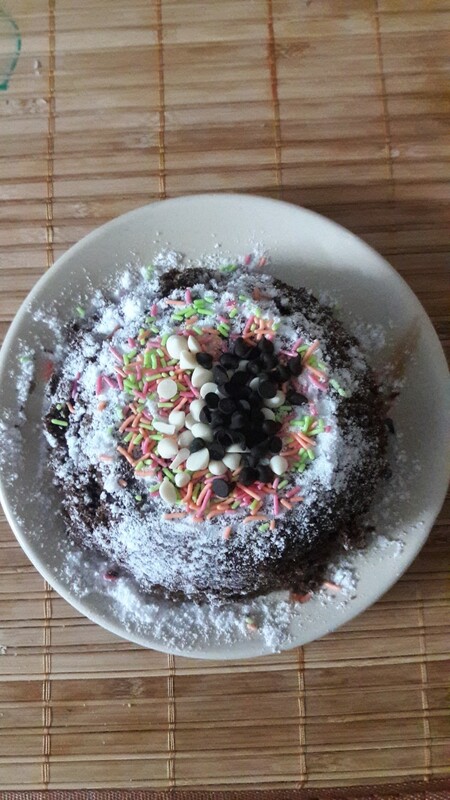 tasted just perfect. rainbow sprinkles and chocolate chips and all things sweet! let him decorate as per his wish. don’t guide him. let the creativity flow. 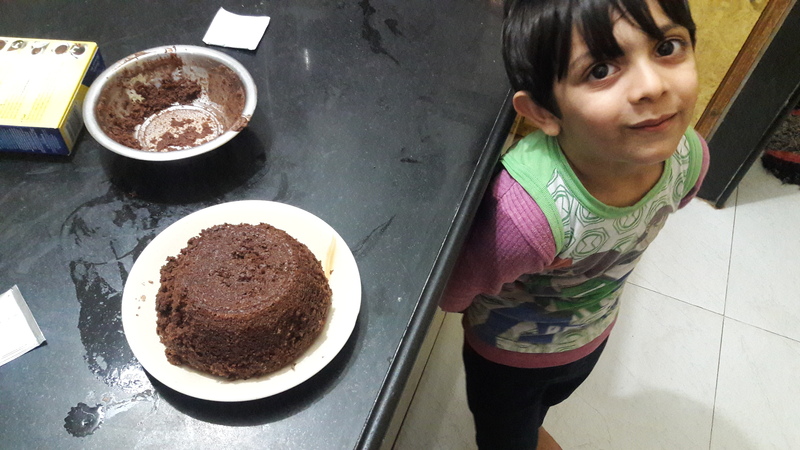 and mommy can just feel the aroma of the cake fill the kitchen and smell sweet. step 9: congratulate him and take a lot of pictures. send it to his grand parents and uncles and aunts. 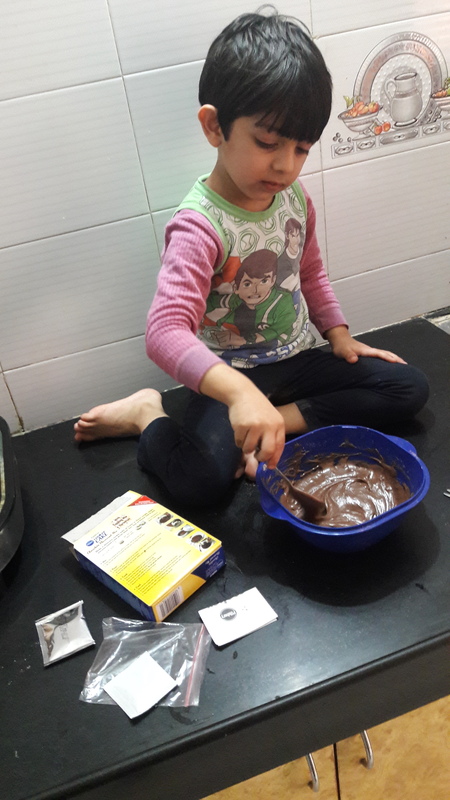 and oh yes, the father of the kid who knows the kid is not potty trained but hell, the mommy can teach him to bake ! hog ! 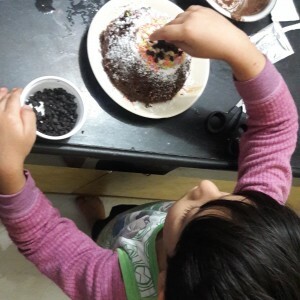 let him tell his experience over a video and pictures and feel the happiness and proud moment of being able to teach a kid how to bake a cake! put the pictures on social media and soak in all the sweet so cute omg wow lovely comments that follow the entire week ! and don’t tell anyone you bought a ready mix box from the shelf. 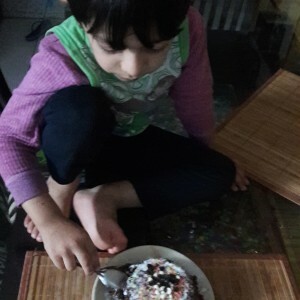 tell them how he dirtied the kitchen and you smilingly cleaned it all while he ate the cake. 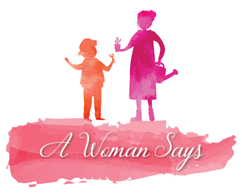 drama woman ! drama!